Is your son also fascinated by knights and horses? Follow these tough issues in his bedroom with this imaginative navy blue duvet cover with cool knights. This duvet cover is perfect for decorating a boy's room or children's room. 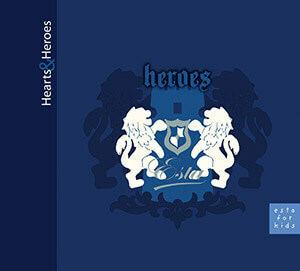 You will find this duvet cover with knights in navy blue (154907) the collection Hearts & Heroes.